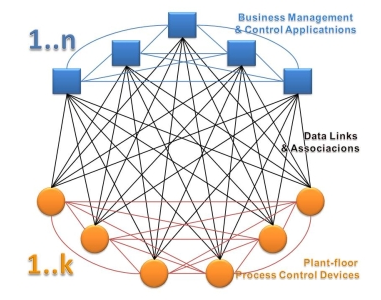 From the definition, the Industrial IT domain is an integrated set of ICT systems. System integration means the necessity of the information exchange between them (the nodes of a common domain). ICT systems are recognized as a typical measure of processing information. The main challenge of deploying an Industrial IT solution is that information is abstract – it is knowledge describing a situation in the selected environment, e.g. temperature in a boiler, a car speed, an account balance, etc. Unfortunately machines cannot be used to process abstraction. It is also impossible to transfer abstraction from one place to another. Fortunately, there is a very simple solution to address that impossibility, namely the information must be represented as binary data. In consequence, we can usually use both ones as interchangeable terms while talking about ICT systems. Unfortunately, these terms must be distinguished in the context of further discussion on the complex data, because before stepping forward we must be aware of the fact that the same information could have many different but equivalent representations – different binary patterns. For example, having interconnected system A and system B, system A can use one representation, but system B another one. Moreover, to integrate them, the transferred stream of bits may not resemble any of the previous ones. It should be nothing new for us, as it is obvious that the same information written as a text in regional newspapers in English, German, Polish, etc. does not resemble one another. To understand a newspaper we must learn the appropriate language. To understand the binary data we must have defined a data type – a description how to create an appropriate bits pattern. Simplifying, the data type determines a set of valid values and rules needed to assign the information (understand the data) to a selected bits pattern. Therefore, to make two systems interoperable, apart from communication, they should be prepared – integrated to be able to consume data from each other, and so communication is only a prerequisite for interoperability. The type is usually not enough to make the data meaningful. Referring to the above example the newspaper name (i.e. the location where the information came from) and timestamp (a single point in time when the information was valid) are attributes of the text that is representation of the information. To have a similar ability to add common attributes to the representations of many information entities at the same time the complex data types must be used. Complex in this context means that the data type must additionally define a relationship between the components of the binary data, i.e. how to selectively get a component of the complex data. Arrays – components are indexed and all components must have a common data type. Structures – components are named and components may have different data types. Anyway, indexes and names must be unambiguous, and a complex data type has the responsibility to provide a precise definition of them, i.e. selectors of the components. The complex data has a very important feature, namely all components are considered to be consistent with one another. For example, if we need to represent time at least three components must be distinguished: hour, minute, and second. In this case, even if there is no need to add any attribute to the binary data it must be consistent, i.e. it has to represent information in a single point in time. Other criteria for describing the data consistency could also be applied. On the other hand using complex data simplifies data integrity if there is a need to store or transfer it. If intermediaries are present, the initial data creator and the ultimate consumer need to trust those intermediaries to help provide end-to-end data integrity, because each hop is processed separately. Thus, using complex data it can be processed and transferred as one item what finally mitigates any risk of integrity compromising. Unambiguous association of the information with the data. Having defined types in advance, clients may provide dedicated functionality, e.g. displaying the information in the context of specific graphics. Typical scenarios can be recognized when we can define appropriate complex data types in advance. The OPC UA offers a variety of standard types ready to be used in common cases. If this out of the box set is not capable of fulfilling more demanding needs users may define custom data types. The OPC UA allows servers to provide data type definitions. The type definitions may be abstract, and may be inherited by new types to reflect polymorphism. They may be of generic use or they may be application domain specific. Custom types must have a globally unique identifier, which can be used to identify the authoring organization responsible for that type definition. If the data publisher – an OPC UA server is not running in an environment capable of creating the complex data there must be taken special precaution to fabricate it if required. An example of this scenario is a standalone OPC UA server pooling data from plant floor devices using a custom protocol, e.g. MODBUS. If that is the case the protocol used to gather process data is usually not data complex aware. Reading and writing the data is accomplished using REQUEST/RESPONSE frame pairs. Moreover, one request can be used to read a set of values that has the same simple type only. The fabrication is an operation that uses group of requests to gather components and embeds them into a single value of a selected complex data type. It is optional server capability. The programs very well suit the needs of further acceleration of adoption of the OPC Unified Architecture as innovative integration technology. On the grounds of my experience I have prepared a series of articles (an exploration catalog) on the new scope of applications where OPC UA shall be recognized as a prerequisite. All of them have the common title pattern “OPC UA Makes <it> Possible”. This set of examples is an attempt to define the target scope for new R&D infrastructure or innovative undertakings. I described this concept in the article titled OPC Unified Architecture: Enabler of Future Solutions. Additionally, Polish industry seeks for new innovative solutions aimed at improving economy by optimizing process control. One of the examples is the project Smart Heat Distribution System for Warsaw. My team has provided the feasibility study for this solution. As far as I know the project will start soon and the concept will be implemented over a few next years. We are also currently working on implementation of the Smart Factory concept at Japan Tobacco International. Do not miss this opportunity. Let benefit from the synergy effect together – you will be welcome to Poland. To get more and obtain a document containing answers to frequently asked questions send me your expressions of interest. Since 2004 Mariusz has been a member of the OPC Foundation. As publications author and member of working groups: Europe Technology Expert, Early Adopter, Analyzer Device Interface, Acceleration Adoption, Mariusz is involved in projects related to the development of the tools and the information model for Analytical Devices released as a companion specification. Mariusz is a Country Representative for OPC Europe. 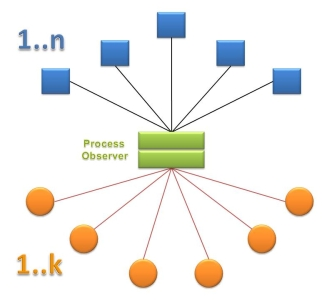 One of the main goals of the OPC Unified Architecture is to provide a consistent mechanism for the integration of process control and management systems. Security is a fundamental aspect of computer systems, in particular those dedicated to enterprise and process management. In this kind of application, security must be robust and effective. Security infrastructure should also be flexible enough to support a variety of security policies required by different organizations. OPC UA may be deployed in diverse environments – from clients and servers residing on the same hosts, throughout hosts located on the same operation network protected by the security boundary protections that separate the operation network from external connections, up to applications running in global environments using also Internet as a public network to establish interoperability. 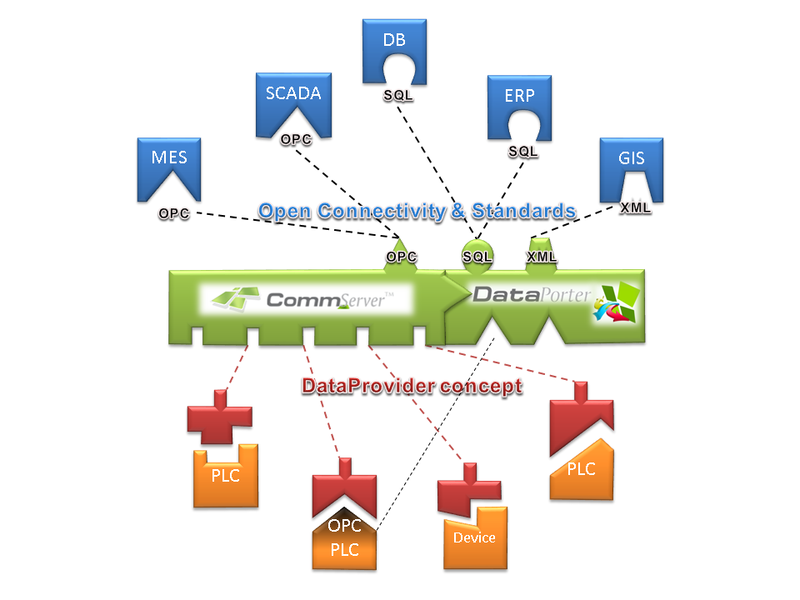 Depending on the environment and application requirements, the communication services must provide different protections measures to make the solution secure, therefore OPC UA specification must offer scalability. We can observe rapid development of globally scoped applications for domains like health, banking, safety, etc. The globalization process is also observed in control engineering. The secure transfer of process control data over the Internet must, therefore, be addressed as the most important prerequisite of this kind of applications. OPC UA Security is concerned with the authentication of clients and servers, the authorization of users, the integrity and confidentiality of their communications and the auditing of client-server interactions. To meet this goal, security is integrated into all aspects of the design and implementation of OPC UA Servers and Clients. The OPC Foundation has also addressed the security issues that arise from implementation. This includes independent reviews of all aspects of security starting from the design of in-depth security provided by the specification (which is built and modeled on the WS* specifications) to the actual implementation provided by the OPC Foundation. The OPC Foundation has chosen to use industry standard security algorithms and industry standard security libraries to implement OPC UA Security (see the OPC UA eBook). Digital signature – to determine the data source. From the list above we can conclude that authentication is a basic component that decides about the quality and robustness of security. Authentication is a process of recognition and confirmation of the identity of someone or something. It is used not only for deploying security. For example applications (including operating systems) use authentication to determine the execution context. Username and password is something you know and must keep secrete (at least the password, but it is recommended both). A certificate is an example of something you must have – no secret information is contained therein. Any certificate is a digitally signed record of identification data. To use knowledge for authentication you must distribute it (distribute secret) everywhere the identity is confirmed (e.g. hundred of services use credentials to define the execution context). The certificate is confirmed by the certificate issuer, i.e. Certificate Authority (CA). It is one single point where it is verified and, therefore, it is much easier to protect authentication process against abusing it. We must keep this fact in mind when considering whether use or neglect Public Key Infrastructure (PKI), which is all about issuing, distributing, using, and revoking of certificates. It is much easier to control the validation process of something if it is not distributed over many places. The routine work of a client application and a server application to transmit plant information, settings, and commands is done in a session in the application layer. The application layer also manages user authentication and user authorization. OPC UA Client and Server applications identify and authenticate themselves with X.509 Certificates. Clients pass a user identity token to the OPC UA Server. The OPC UA Server authenticates the user token. Applications accept tokens in any of the following three forms: username/password, an X.509v3 certificate or a WS-SecurityToken.